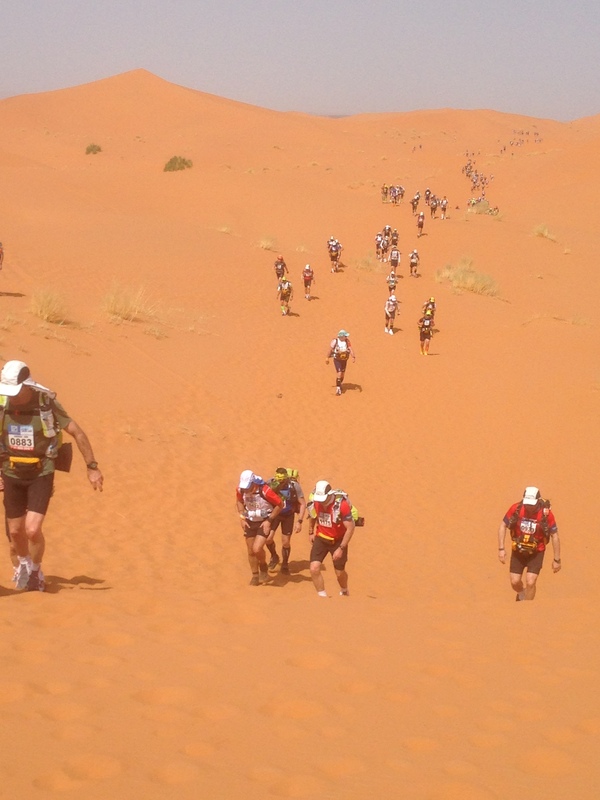 Multi-stage, ultra-endurance events within extreme environmental conditions are becoming increasingly popular with endurance athletes. 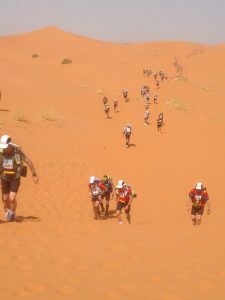 Deemed the “toughest foot race on earth” the Marathon des Sables (MdS), is a ~250 km multi-day race across the Sahara Desert in Morocco, which attracts around 1000 competitors annually from around the world. 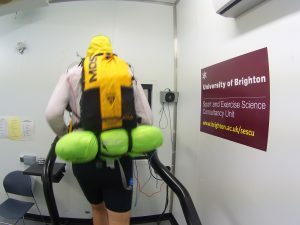 During the MdS race, competitors are self-dependent, carrying their own backpacks which weigh around 5-10 kg in extreme levels of heat stress (~40°C). 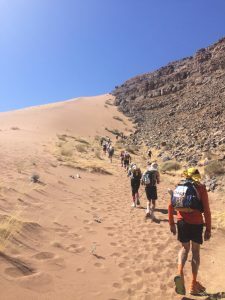 The route covers sand dunes, dry river beds and, stony and rocky surfaces, and is relentless in terms of physical and mental fatigue. 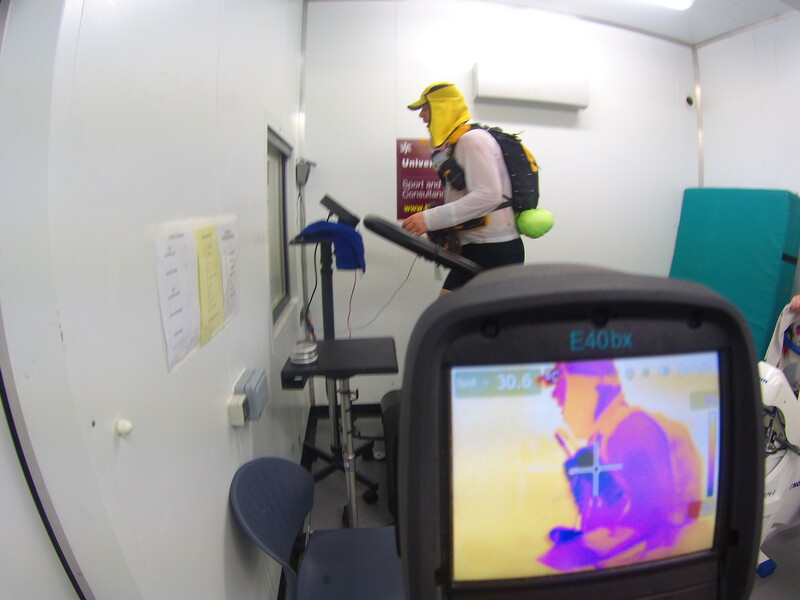 The athletes face numerous physiological challenges including; cumulative fatigue, restricted water and food availability, sleep deprivation, high solar heat loads with limited shade and, prolonged metabolic heat production. 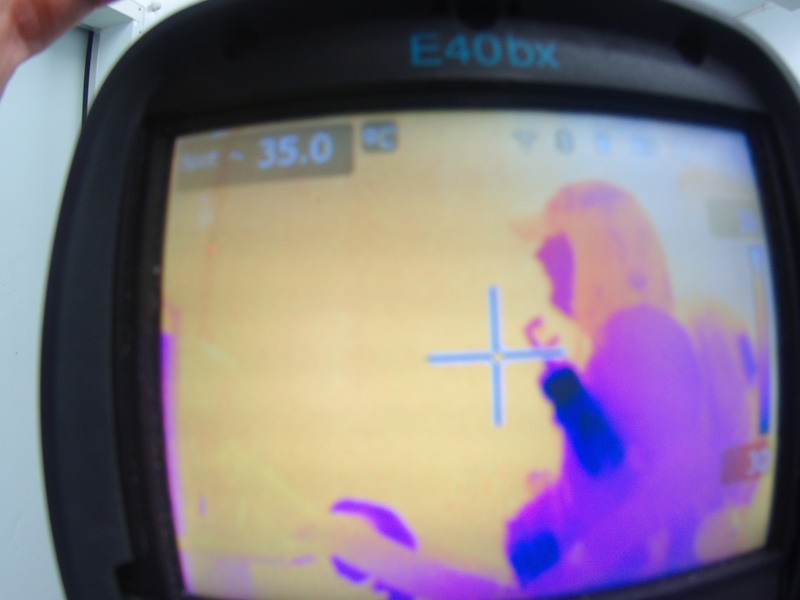 Such consequences exacerbate physiological strain, and increase the likelihood of dehydration, skin tissue injuries and risk of exertional heat-related illnesses (EHRI). These are obviously detrimental to health, which can lead to race-withdrawal and serious health consequences. 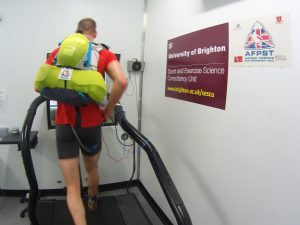 It is therefore, imperative that athletes prepare effectively through heat acclimation (HA), which includes repeated, prolonged exercise exposures to high temperatures (>30°C) and moderate-high humidity (>40%). Short-term HA (STHA) can induce nearly up to 75% of physiological adaptations which includes a reduction in heart rate and core temperature, in addition to lowered perceived exertion, along with improved thermal comfort, sensation and perceived fatigue. 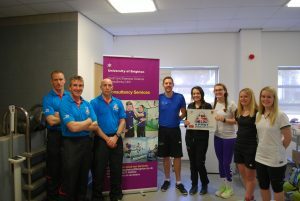 As part the Sport and Exercise Science Consultancy Unit (SESCU)’s Environmental Extremes Support services, this year Ash Willmott led a team to support 10 MdS athletes prepare for the race, this included Dr Mark Hayes and several post graduate research students including Kirsty Waldock, Rebecca Relf and Emily Watkins. 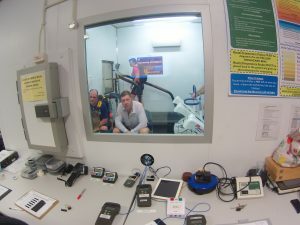 The athletes, mainly from the surrounding south east region, visited the laboratories 4-6 times for heat acclimation sessions, which included running and cycling in 45°C in the lead up to their departure for Morocco. The methods prescribed and measures taken during the heat acclimation were all research informed from many of the sport science research studies completed here at the University of Brighton, and applied successfully for the MdS athletes. Over the course of the heat acclimation we saw many adaptations in the typical markers of repeated exercise-heat stress as well as novel findings including improved perceptual measures and increased sweat output over a shorter time frame as compared to those previously seen. Out of the 10 athletes we supported, 9 completed the race safely and successfully, with some even finishing in the top 10% of the field. Some of the feedback from the athletes included, the improvement in mental toughness and confidence gained through training in their teams in the extreme heat of our chamber, while others felt that learning about their heat rate, sweat rate and hydration guidelines really helped them during the race and how to pace themselves during the peak temperatures. 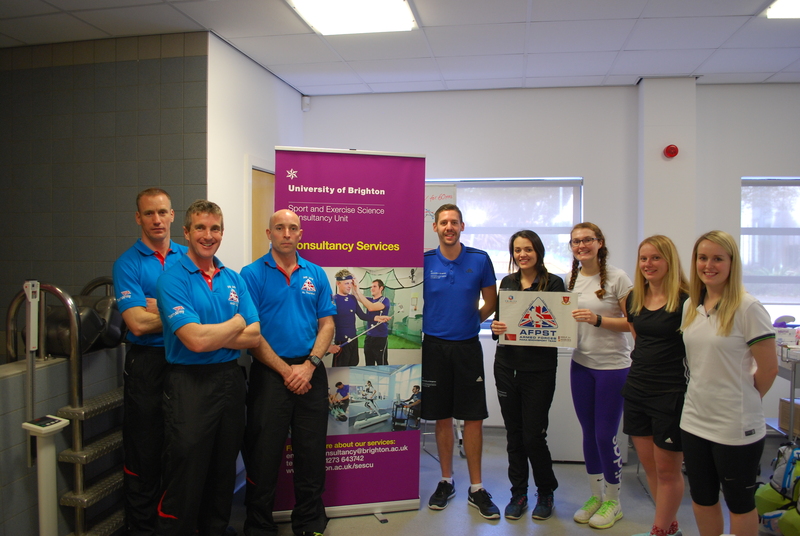 The work competed by Ash and the team has now been written up and published in the Journal of Sport Sciences. This entry was posted in Consultancy, Heat, Research, Sport by Neil Maxwell. Bookmark the permalink.